The conference, entitled: Functions of Sleep in Body and Brain, was held March 13-18, 2016, in Galveston, Texas. The biennial event is limited to invited international researchers and sleep experts. Booker and Hudson were the only undergraduate students in attendance at this year’s meeting. Booker presented research communicating the neurotoxic effects of specific electromagnetic radiation signals on the sleep-wake cycles of animals and humans. Hudson presented data demonstrating the cost-savings to hospitals and insurance providers through use of a novel electroencephalography tool in clinical sleep studies. 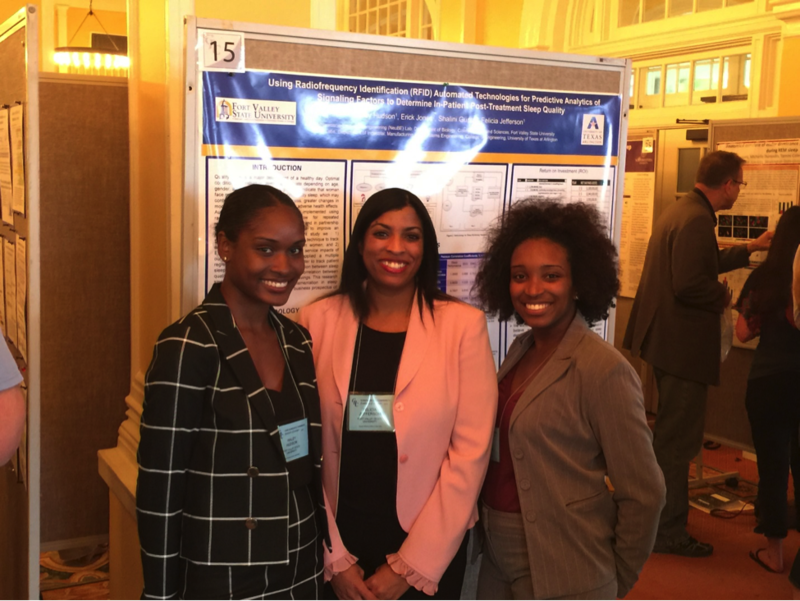 The students conducted their undergraduate research under the guidance of Dr. Felicia Jefferson, assistant professor in the Department of Biology. Dr. Jefferson directs the Neuroscience and Bioengineering (NeuBE) Laboratory at Fort Valley State. Following the presentations, Dr. Craig Heller, world renowned sleep physiology expert and sleep research field pioneer, encouraged the seniors to apply to the doctoral programs in Neuroscience and Biology at Stanford University’s School of Medicine, where Dr. Heller is the Lorry I. Lokey/Business Wire professor of biology. FVSU’s Science Club, the Office of Undergraduate Research, and the Division of External Affairs provided funding to support the students’ travel and participation in the GRC. Details on research conducted in the lab may be found at www.neubefvsu.com. Since 1931, Gordon Research Conferences have provided an international forum for the presentation and discussion of frontier research in the biological, chemical, and physical sciences, and their related technologies. Additional information on this and other Gordon Research Conferences may be found at www.grc.org.